These questions shouldn’t stop at his support for Hamas and Hezbollah. As Alan Johnson has explained in detail, Corbyn’s support for extremists with a record of antisemitic statements or activities is extensive. 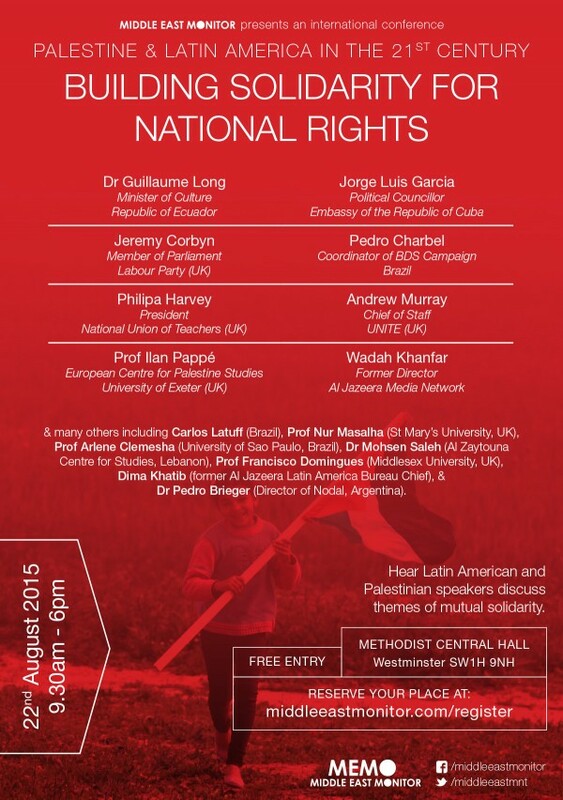 There is another example due next month: this conference that Corbyn is scheduled to speak at, organised by the Islamist lobby group Middle East Monitor (MEMO) on “Palestine & Latin America: Building solidarity for national rights”. I don’t know what Corbyn plans to talk about at the MEMO conference. I don’t expect him to say anything antisemitic – he rarely if ever does. But I do know that a prospective leader of the Labour Party should not be associating with MEMO, or with some of the other speakers at that conference, and that Corbyn does this kind of thing far too often. MEMO has featured repeatedly on the CST Blog for peddling conspiracy theories and myths about Jews, Zionists, money and power. This has included questioning the suitability of Matthew Gould for the post of UK Ambassador to Israel simply because he is Jewish. MEMO also continued to spread the untrue story that the ‘Innocence of Muslims’ film was a Zionist plot to stir up hatred of Muslims, several days after it had been widely established that the film was made by Egyptian Christians. One MEMO article, titled ‘How money from pro-Israel donors controls Westminster’, was even praised by American neo-Nazi David Duke. Simply put, a Labour Party leadership candidate should not be going anywhere near an organisation like MEMO. Corbyn, though, has an association with MEMO going back several years. In 2010, Corbyn visited Israel and the West Bank on a MEMO delegation. It was MEMO who brought Sheikh Raed Salah to the UK in 2011, a visit defended by Corbyn even though Salah had made a speech in Israel in 2007 that used the antisemitic blood libel. Salah has since been found guilty of inciting a riot and inciting antisemitism on charges that MEMO denied existed. This was part of a pattern of dissembling and evasion from MEMO throughout Salah’s visit to the UK. 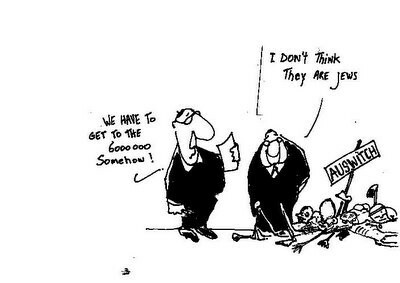 In 2006, Latuff won second prize in Iran’s grotesque ‘Holocaust Cartoon Contest’. Simply the fact that he entered a competition designed to denigrate and diminish the Holocaust should have seen him permanently shunned in progressive or anti-racist circles. Instead, MEMO embraces him and Corbyn and others are due to speak at the same conference as he is. Abou Jahjah claimed that he was trying to highlight double standards in free speech, but a Dutch court found the AEL guilty of Holocaust denial nonetheless. Abou Jahjah was excluded from the UK after his appearance with Corbyn and claimed that Corbyn had filed a complaint on his behalf against the exclusion. I am sure that Corbyn would be the first to condemn Holocaust denial. The problem is not that Corbyn is an antisemite or a Holocaust denier – he is neither. The problem is that he seems to gravitate towards people who are, if they come with an anti-Israel sticker on them. He is not alone in this. Corbyn and his supporters may well dismiss this as a cynical effort to deflect their criticisms of Israel, but they would be wrong to do so. Antisemitism is a serious problem and Islamist antisemitism can be deadly. Jewish concerns about this are sincere and urgent. Antisemitism isn’t something that can be excused or ignored by politicians in pursuit of some supposedly higher political goal. Jeremy Corbyn needs to show the Jewish community that, if elected Labour leader, he won’t bring antisemitism into the heart of the Labour party. Hamas and Hezbollah are resistance movements against Israeli occupation and aggression. In all probability they would not exist at all in the absence of Israeli expansionism. That is not to say that all of their actions can be justified but the same could be said in spades for the behaviour of their two main opponents, Israel and the US, both of which have been responsible for vastly more death and destruction im the middle east. Sencar loves the Arab extremist. He just doesn’t want to live in the Middle East and actually be with them. Weird. Meanwhile, Jews are willing to live in the Middle East despite all the Muslim extremists who continue to plan for death and destruction. Furthermore, Sencar will call himself brave for fighting the online Jewish menace, accusing the Jews of buying influence within various global political establishments. Which is only funny because Sencar can only post while hiding out in his Mommy’s basement, his pants having fallen down by his ankles. 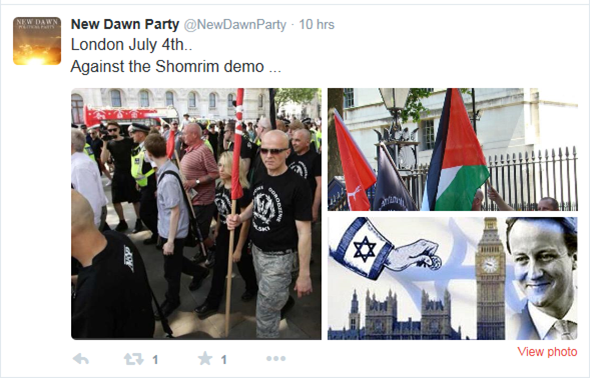 A blatant lie of this despicable antisemite, besides legitimizing terror organisations. 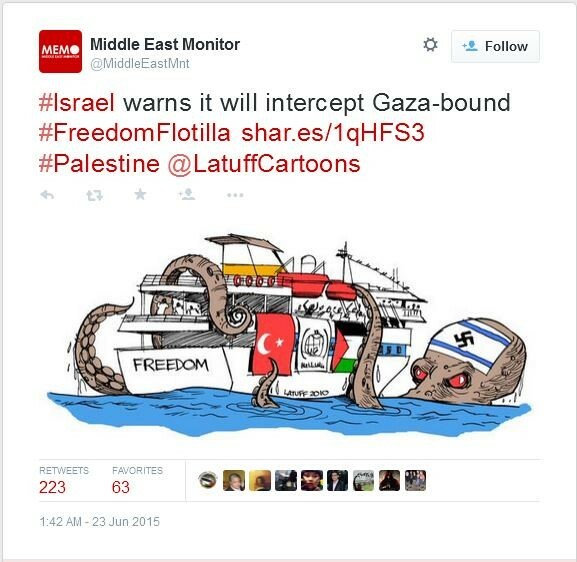 Neither Gaza nor Lebanon are occupied, the world of an Antisemite is always upside down. What have you against peaceful resistance, as opposed to child-murder, the child abuse inherent in Hamas’ and Hezbollahs’ indoctrination of children, which is not at all far removed from the ISIS behaviour we have witnessed recently? Why do you believe that Hamas and Hezbollah don’t engage in that, apart from the immaturity evidenced by poor impulse control which appears to be endemic among Islamist organisations throughout the world and the sort of immaturity that demands that they get what they want immediately, or slavish adherence to the koranic injunction to hate Jews? Israel and the US, both of which have been responsible for vastly more death and destruction im the middle east. According to historical facts and not to Sencar-like antisemitic smears the number of Arabs killed during the decades of Arab-Israeli wars is less than 100,000. In the Syrian civil war during the last two years the number of deaths is estimated between 170,000 and 200,000. Now let’s consider the options regarding the factual value of Sencar’s assertion. 3. Sencar is an ignorant loser who is not able to spend his time more usefully than spitting completely nonsensical anti-semitic lies. You must learn to read and understand what I write, Peter. Many have been killed in Syria but very few by Hamas or Hezbollah. Hamas for years has only targeted Israel and has killed small numbers; Hezbollah has overwhelmingly targeted Israeli military, so arguably is not a terrorist organisation at all. Israel on the other hand has killed thousands of civilians in Lebanon and Gaza, while I daren’t even try to estimate the number of civilian deaths in the middle east for which the US is responsible – hundreds of thousands anyway. Many have been killed in Syria but very few by Hamas or Hezbollah. Hezbollah has overwhelmingly targeted Israeli military, so arguably is not a terrorist organisation at all. Yes Sencar with thousands of rockets launched maybe ten hit military targets, all of the others fell on civilians. Sencar thank you for your continuing contribution to the Zionist case…. Estimates of the Lebanese civil war cercle around 120.000 and more casualities, refugees leaving the country up to one million, the Jordan civil war ended up by more than 4.000 casualities in eleven days, and we didn`t utter a word about the Iraque-Iran war till now. Once again the Antisemite proves that Antisemitism is political and manichaean system of belief with no connection to reality. Another hater in the footpaths of the Nazis. Hamas and Hezbollah are resistance movements against Israeli occupation and aggression. Only one question sencar – Hezbollah a Lebanese organisation is resisting to what? What occupation? Anyway thank you for proving the well known fact – obsessive Jew-haters are without exception laughable morons too. The Arab League alone has been responsible for both the enforced death and destruction of BOTH the Palestinians and the Jews of North Africa. Both began in 1948, The League’s propaganda has grown more outrageous and deceitful each year. …hustings chaired by Jonathan Freedland, he can expect some difficult questions. The part “chaired by Jonathan Freedland” the loyal colleague of Seamus Milne and Owen Jones and a leading staff member of the Guardian – one of the most anti-Israeli/anti-semitic rags and one of the main supporter of Corbyn makes this a farce. when the writer claims Corbyn is not an anti-semite I have to question his rationale. By what reasoning can a man who is an enthusiastic supporter of organisations such as Hamas and Hezbollah who don’t even pretend they’re not anti-semitc, be regarded as anything but a Jew hater.